According to a report recently released by Attom Data Solutions, cities throughout South Florida (Fort Lauderdale, Miami, and West Palm Beach) are experiencing an alarming increase in foreclosure starts, with filings up almost 30 percent over the previous year. 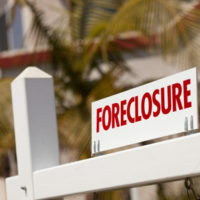 Overall, Florida, as a state, is up 35 percent in foreclosure starts, representing the highest increase in the nation. What this means is that Florida, once again, has a high rate of foreclosures—the highest compared to the last few years—and this will inevitably increase the number of foreclosure defense cases that come before Florida courts. The reasons behind this spike are still largely unknown, although experts speculate that it could be due to increasing real estate values, which have been on the rise over the last five years. As a result, more and more homeowners take out second mortgages and equity loans, and the additional borrowing eventually results in increases in the rate of foreclosure. Experts warn that these increasing foreclosure rates could impact higher-priced homes, with South Florida continuing to show higher rates of foreclosure. After Hurricane Irma devastated areas throughout the state last year, mortgage default rates increased significantly. Some might ask: aren’t ups and downs normal in foreclosure, especially if a state experiences damage from a serious hurricane, like Irma? Yes, that is absolutely true. However, the rising rates in foreclosure in particular cities may have deeper implications. For example, elevated foreclosure rates lead to serious distress in the housing market, causing problems for homeowners by decreasing the value of homes and resulting in more “underwater home” situations. Meanwhile, increased interest rates are leading to rising payments for homeowners, while adjustable rate mortgages are reset, leaving people with very few choices; choices that typically include selling the house or defaulting and pursuing foreclosure defense in order to hold onto their homes. With stagnant wages and income inequality, the impact will inevitably be felt by moderate income communities within Florida. Your home undoubtedly represents your most valuable asset, and one that is important not only to you, but your entire family. In this economy, if you live in Florida, the chances that you may be facing foreclosure as economic circumstances get more and more difficult each year. At Moran, Sanchy & Associates, our foreclosure defense attorneys work hard to investigate the facts and provide you with the defenses you need to stay in your home. Contact us today if you have any questions on how the economy could impact foreclosure rates in your area, as well as how we can help you.